From the beginning, a key aim of Colyton Parish History Society was to help people interested in discovering their own family roots as well as encouraging interest in local history. As a result, the Devon History Service Point was established in Colyton in 1989, just three years after the society was founded. This scheme was originally conceived by Devon County Council as a way of taking history to the people by making copies of records available in their own localities. Colyton was the second Service Point to open, after which a further 22 such facilities were established throughout the county of Devon. Nearly 2,000 people have made visits to the Colyton Service Point. We have received several hundred email enquiries, many from around the world, and we were able to provide information for the majority of them . Because of the feedback received in the course of answering these enquiries, the full details of some 80 Colyton families are now held by the Society. Today the Service Point is an offshoot of Devon Heritage Centre which was formerly the Devon Records Office based at Sowton on the outskirts of Exeter. If you are researching your family history, you are welcome to contact Colyton Parish History Society, or call in at the Colyton Heritage Centre where the Family History Service Point is now established in its permanent home. Over the years a collection of historic photos, documents, books maps and artifacts relating to Colyton has been built up and this forms the basis of the displays in the Heritage Centre. Research projects have included the architectural history of St Andrews church, the water mills of the Coly valley, transcription of the Feoffees charter, listing church and church yard burials and recording of the cemetery headstones. Efforts to record the recollections of old Colytonians have been made, and recollections continue to be collected and recorded. Most importantly the Colyton Chamber of Feoffees possesses a unique collection of records spanning some 450 years. They are potentially of national significance once they can be transcribed which is the long term aim of the society. This will then make them more accessible for academic, parish and family research. Of particular significance were the reminiscences of WW2 made in conjunction with the wartime exhibition held in 2011. 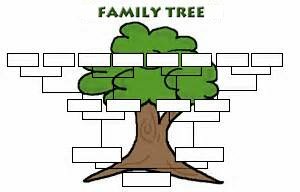 All such activities help to build up information which can often help in researching family histories. In addition to the microfiche copies of Parish registers supplied by the Devon Records Office, the Colyton Society has added a considerable number of further records. PLEASE NOTE: At present the research team are unavailable to answer your enquiries until April 2019. We are in the process of reviewing our research service and will update the website in April. Thank you.